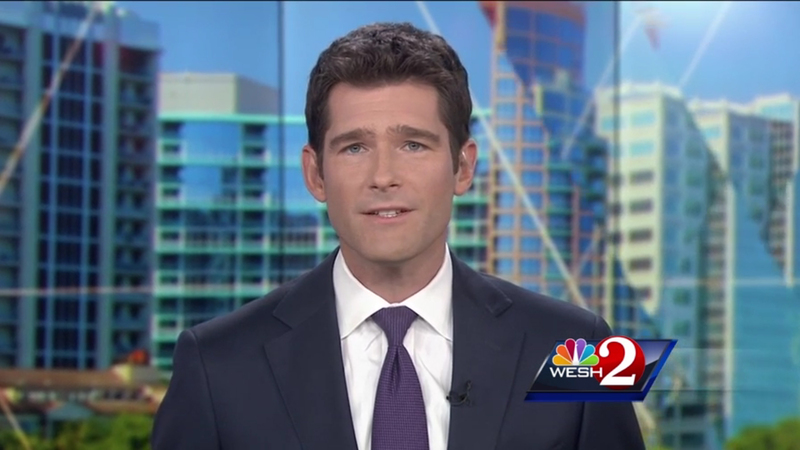 WESH, the Hearst owned NBC affiliate in Orlando, Florida, has debuted a new home inspired by a twist on the station’s “diagrid” graphics package as a primary design motif. 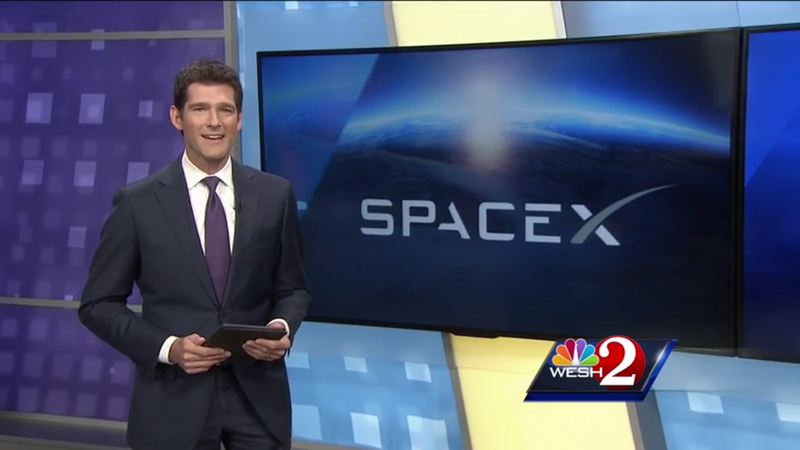 The repeating pattern of interlocking triangles, nicknamed the “diagrid” by Hearst, has been a recurring theme in most of its stations’ on air looks for years now — and now the pattern is used by Devlin Design Group to create the structure of the set. Instead of repeating the triangular pattern, however, the shape is morphed into a sort of slanted polygon, a shape that’s better suited for creating scenic elements. For example, the new set features multiple video arrays framed by thick, internally lit frames that echo the polygon — and, by extension, the diagrid — shape. The polygon is also used in the tall solid segments as well as the spaces between them and the frames, which are filled with backlit printed graphics that also feature the pattern along with slanted laser lines and other accents. The anchor desk, which has been changed to a circular design, is situated in front of one of the set’s multiple video panel setups, a curved video wall created using vertically mounted video screens from Primeview. 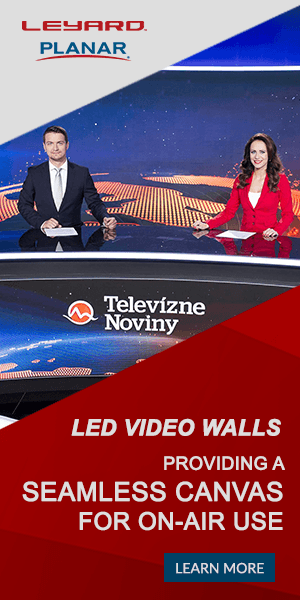 During most news segments, this video wall is filled with a stylized cityscape that includes animated diagonal lines as well as hints of the diagrid itself, but it can also be used for topical, branding and breaking news. Additional video panel configurations include a rectangular array as well as a side-by-side arrangement that creates a sort of ribbon shape. 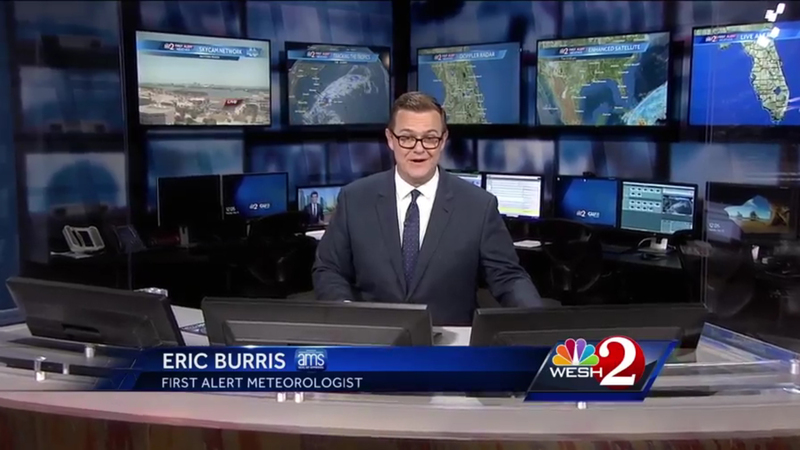 The set also includes a new First Alert weather center, which is situated in a corner and features a printed background along with slew of video panels, both wall mounted and in the work area itself. Most of the set’s areas are designed to be used in multiple ways, whether it be for weather reports, anchor desk shots, standups or interview segments using the studio’s movable sofa setup. In combination with the new set, WESH continues to make heavy use of slow camera movements in most shots.